My little guys just love the carousel. This looks like it was a fun day for everyone! Oh, that looks like so much fun! I wish we had something like that around here! I think our babies are complete opposites. Your son is blissed out in his stroller comfortably snoozing...my baby wouldn't have wanted to blink his eyes for fear of missing out on all of the excitement and commotion :) Looks like a really fun day...was it a traveling carnival or just a really cool park? 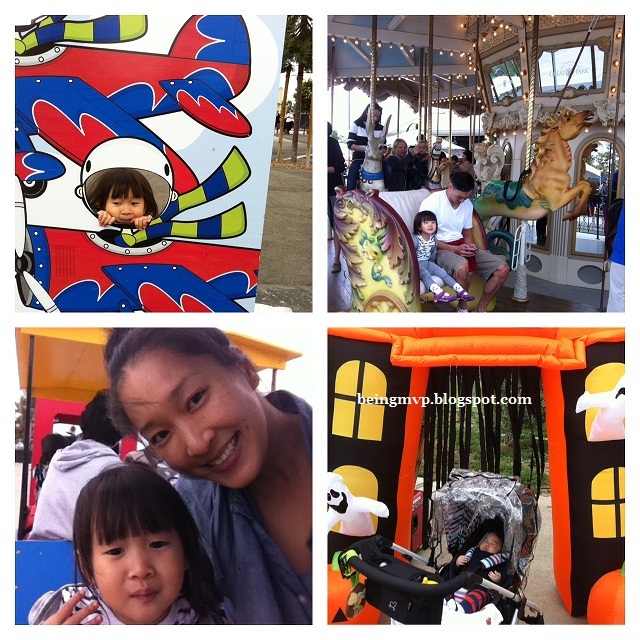 i love the little carousel! so cute! These are great pics! What a beautiful family! That looks like so much fun. I wish we had something like that near us!